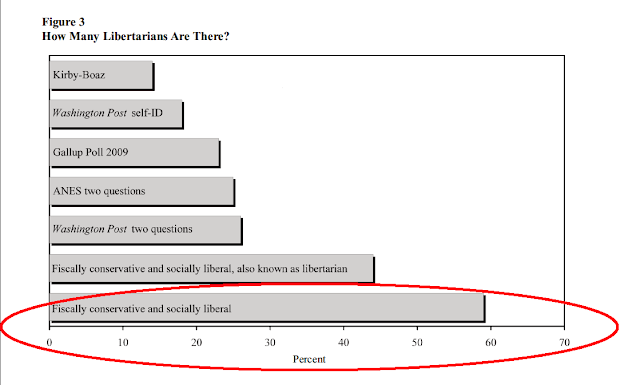 Terrestrial talk radio's key demographic, conservatives, are becoming more libertarian. 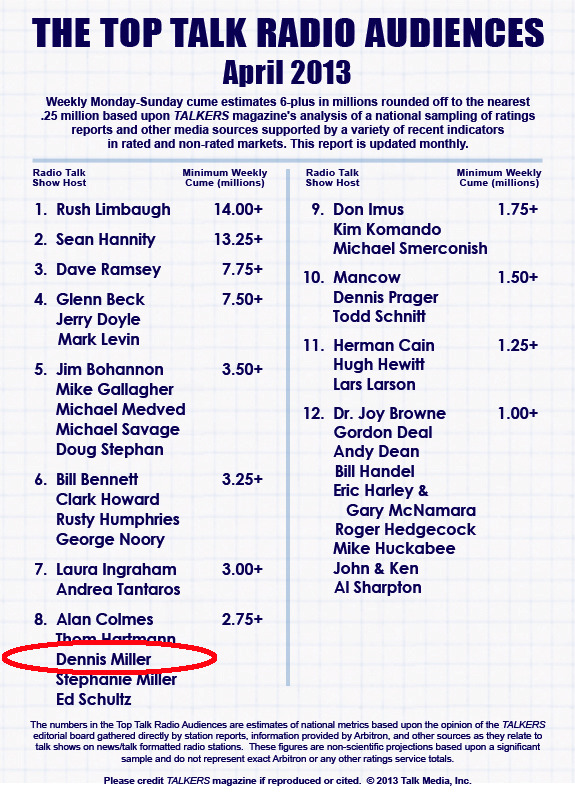 However, there are few libertarian hosts in terrestrial talk radio. Program directors would be wise to air more of them. 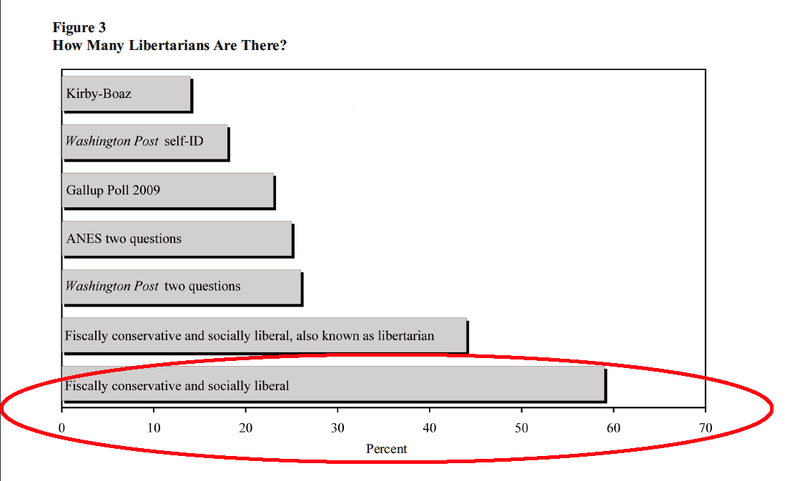 However, there are only a handful of libertarian hosts in terrestrial talk radio. This suggests there's a growing under-served demand. I haven't listened to all of the radio hosts but I have listened to a lot of Jerry Doyle and Dennis Miller on my local AM. Jerry Doyle is FAR more libertarian than Dennis Miller. While comparable on social/business Miller takes a decidedly non-libertarian stance on things like the NSA, foreign intervention, and other security/military issues. No matter the stance on the other issues you CAN'T have a small government with a big police state. 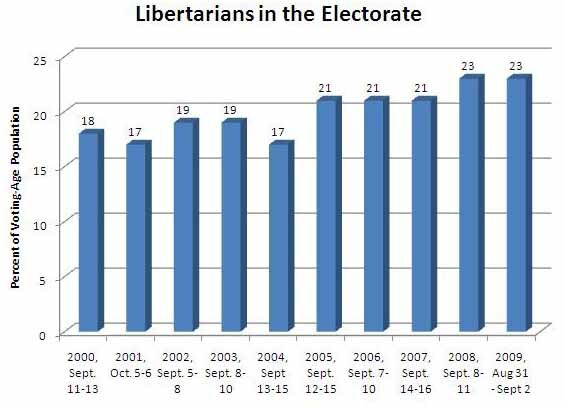 Doyle has been WAY more small gov/libertarian, at least of late.